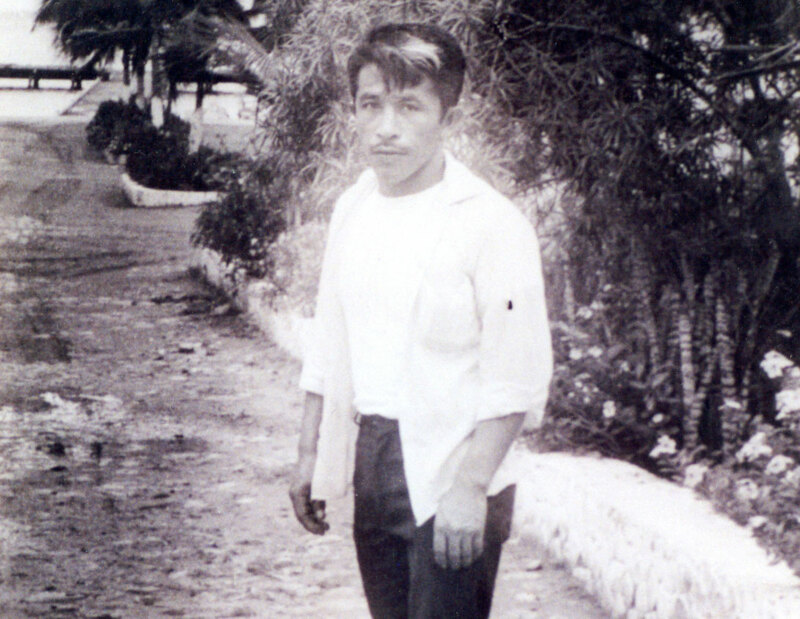 In his 30s, dad while serving time at Islas Marias Federal Prison in Mexico. My mom left dad when I was five years old. During the weeks leading up to her decision, she thought of every possible excuse to stay, but there was a way out of every single one. Now and then mom opens up about the things that she considered. She feared not being able to raise two kids on her own. My sister was born without her left leg and caring for her would be difficult. She also thought about how much my sister and I would miss dad, me in particular—I was his favorite. Once decided, mom had to figure out a way to leave without raising the suspicion that we would not be coming back. She packed all of our clothes in boxes and had them shipped to my aunt in Ensenada a few days before we left. The next step in her plan was to pack wood and a few rocks in empty boxes and stack them neatly inside the closet. The purpose was to give my dad the impression that we were coming back and that she was merely making sure our “clothes” would be neatly waiting for us upon our return. Mom had had enough. Dad cheated on her, abused her (verbally, physically, and sexually). Mom was ready to leave. Dad drove us to the bus station. While we waited to board the bus, dad kept me close to him. I remember holding his hand and feeling that he didn’t want to let go of me. I thought he had figured it out! That somehow he knew we weren’t coming back. I am going to follow the bus for as long as I can, so be on the look out for me ok? Those were the last words he said to me. That was his way of saying good-bye. On the bus, mom didn’t say much, but she held my hand the entire trip. As the bus got on the road, I kept looking out the window for dad’s blue El Camino with the dirty white camper. A minute later, I saw his car cut in front of us. That gesture was as if he were talking to me and I burned it into memory. I stared at his car through the window, afraid to look away for fear that I might lose him. Some short distance later, I saw dad’s car make a right turn, but the bus that we were on kept on going straight. As the years went by and I got older, I always yearned to tell him that I had seen his car that night many years ago. And that I loved him. My dad passed away ten years ago today. Sometimes I still miss him.